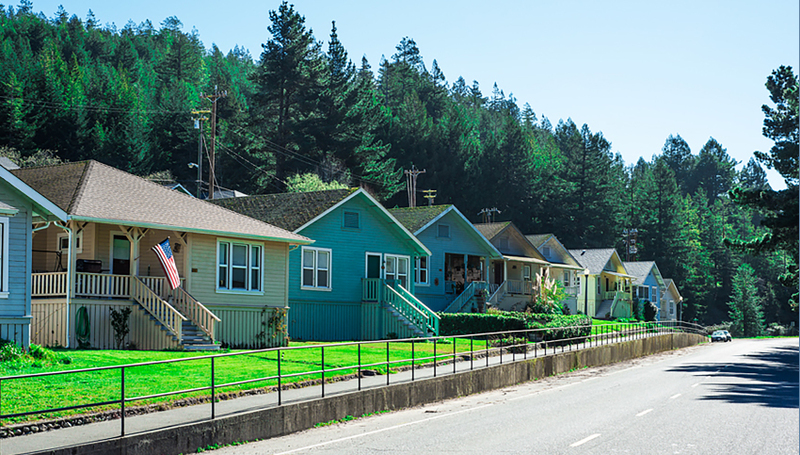 As seven happy homeowners have moved into their homes in Scotia and five more are in escrow, a sense of community is building in this quaint town along the Eel River. Homes in the first phase, called The Redwoods, are selling quickly with more than 900 people on the interest list. Eventually all 270 homes in Scotia will be sold in phases over the next four to five years. Scotia has grown from a once proud company owned town into fully functionally locally governed community with public utilities and modern conveniences that make it the perfect place to live. Living here you’ll discover so much all within walking distance of your home – a market, hardware store, pharmacy, medical clinic, fire services, soccer and baseball fields, parks and the Stanwood A. Murphy Elementary School. Just a short drive away, is regional shopping, Humboldt State University, College of the Redwoods, beaches, forests and the famous Avenue of Giants along scenic I-101. Come see Scotia today and become a part of this thriving community! For home release updates, contact Doug McCorkle at dmccorkle@townofscotia.com or 707-764-4383.